Lawyer, MP (1908-1911), MP (1911-1917), MP (1917-1921), MP (1926), Prime Minister of Canada (1920-1921, 1926). Born at Anderson, Blanchard Township, Perth County, Ontario on 16 June 1874, son of Joseph and Mary Meighen, he was educated at St. Mary’s Collegiate and Toronto University (BA in Mathematics, 1896). He taught school at Caledonia, Ontario from 1897 to 1898, then migrated to Winnipeg to study law before arriving in Portage la Prairie in 1902. He was called to the Manitoba Bar in 1903 and practised with the firm of Meighen & Sexsmith until 1915. He served as a Bencher for the Law Society of Manitoba. He was first elected as a Liberal-Conservative MP from Portage in 1908, winning re-election in 1911 and 1917. He became Secretary of State in 1917 and Minister of the Interior in the Union government later that year. He was associated with many of the government’s most controversial wartime measures, including repression of free speech, the Wartime Elections Act, the nationalization of the railroads, and the Military Service Act of 1917. Meighen also was responsible for the federal initiatives that put down the Winnipeg General Strike of 1919, thus incurring the enmity of organized labour. Despite these liabilities, he succeeded Sir Robert Borden as Prime Minister in 1921, but both he and his government went down to defeat shortly thereafter in the 1921 general election. Although his party won the largest number of seats in the 1925 general election, he did not become Prime Minister until briefly in 1926, when his newly-formed government was quickly defeated in the House. In the ensuing general election, the Conservatives were routed. Meighen lost his own seat and resigned as leader. He was a member of the Hydro-Electric Power Commission of Ontario from 1931 to 1934, and entered the Senate in 1932 as government leader. In 1941 Meighen was again chosen leader of his party, but was defeated in the by-election in York South by a CCF opponent. His loss was a combination of his single-minded advocacy of conscription and his inability to think about national policy after the war was over. Disillusioned, he retired from politics. On 1 June 1904, he married teacher Jessie Isabelle “Bella” Cox (?-?) 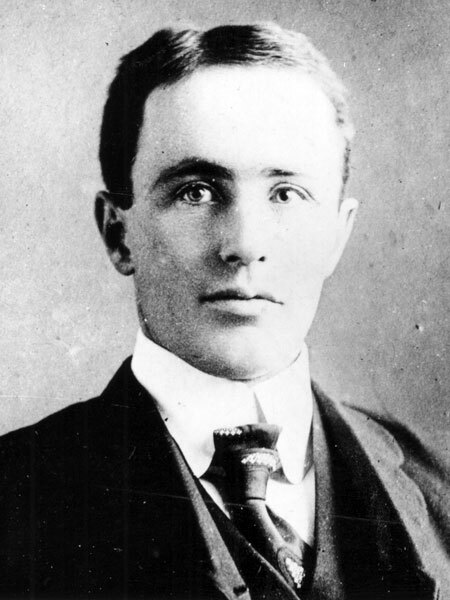 of Birtle, with whom he had three children: Theodore Roosevelt Meighen (1905-? ), Maxwell Charles Gordon Meighen (1908-? ), and Lilian Mary Laura Meighen (1910-?). The University of Manitoba awarded him an honorary doctorate in 1932. He wrote Overseas Addresses (1921) and Unrevised and Unrepentant Debating Speeches and Others (1949). He died at Toronto, Ontario in 1960. He is commemorated by Arthur Meighen School in Portage la Prairie and, in 2010, his home at 131 Dufferin Avenue East in Portage la Prairie was designated in the Memorable Manitobans: The Homes program. His papers (on microfilm) are available at the Archives of Manitoba. The standard biography, in three volumes, is by Roger Graham. Arthur Meighen: A Biography, The Door of Opportunity (Volume 1) by Roger Graham, Toronto: Clarke, Irwin & Company (1960). Arthur Meighen: A Biography, And Fortune Fled (Volume 2) by Roger Graham, Toronto: Clarke, Irwin & Company (1963). Arthur Meighen: A Biography, No Surrender (Volume 3) by Roger Graham, Toronto: Clarke, Irwin & Company (1965). The Fox’s Tale: The History of Foxwarren and the Consolidated School District #525 by Foxwarren and District History Book Committee, 1989, page 57.